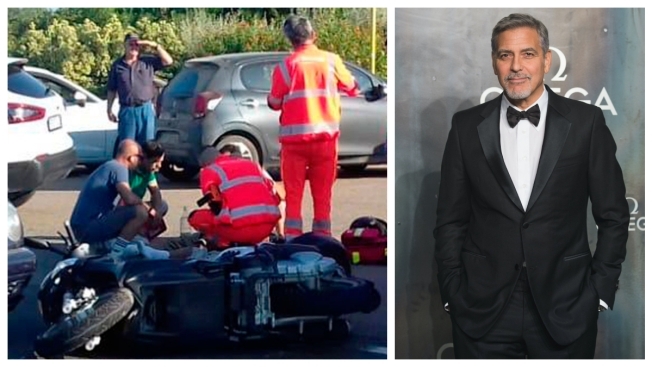 The driver of a station wagon hit by George Clooney's scooter in Italy says he was waiting to turn when a scooter whizzed by, then the actor's scooter slammed into him. Italian news agency ANSA, reporting Wednesday from Sardinia, quoted Antonello Viglino as saying he was "stationary on the roadway," ready to turn left when two motorcycles came from the other direction Tuesday morning. Viglino, 67, says the first "avoided collision" but the second "slammed into me."